My name is Chris, and this year I’m attending the Federated Logic Conference, located in Oxford. This is a mini podcast series about my experiences while I’m here. 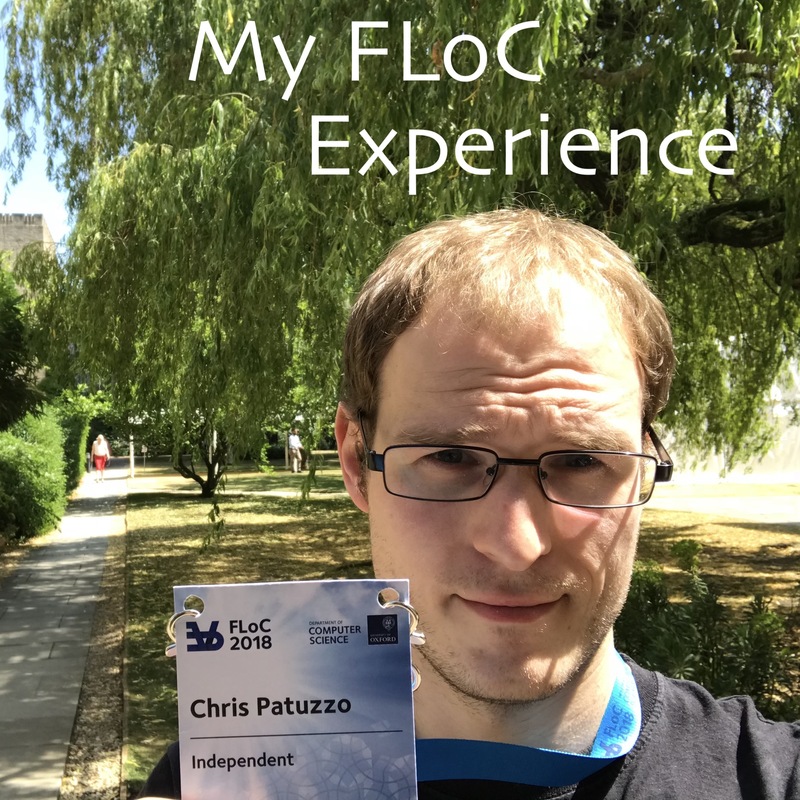 My last day at FLoC, with an awards ceremony and some final thoughts. More flavours of SAT, a group photo and a business meeting. This episode is dedicated to my coffee enthusiast friend, Leo Cassarani. Combining logical and probabilistic models of AI. Proof systems aren't as complicated as they sound. Impress your friends by rotating a chess board. The first day of the the international SAT conference. A last minute change of mind to learn about quantifiable boolean formulae. A workshop on the pragmatics of SAT and some insider information. Today was the final day of the Logic and Learning summer school. Test your 'general' knowledge in this innovative new game show. Are all hypotheses equal or are some better than others? Verifying the behaviour of drones and a truly exquisite song. Combining Markov decision processes with software verification. Automata learning in the morning, followed by a tour of Oxford. Bayesian networks and reinforcement learning were the topics for today. Today was the first official day of the Logic and Learning summer school. First, let me tell you a bit about who I am and what this conference is.